There are several companies that have emerged recently that market call-to-action video player skins that are designed to be layered on top of players such as YouTube or Vimeo. Viewbix, for example, offers “to put the entire Web experience in the video player.” Their software allows video creators to add elements of their websites, social networks and more into the video player so that when they share the video on Twitter, Facebook or YouTube they take all their calls-to-action and content with them. 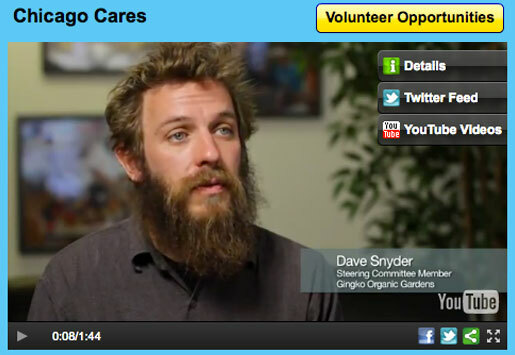 To illustrate, Socialbrite partner Major Multimedia, a nonprofit video training and production company, created a Viewbix overlay for a video created for a client, Chicago Cares, to recognize outstanding volunteers at their awards banquet. This video is housed on Viewbix’s website but can be embedded, copied and shared. 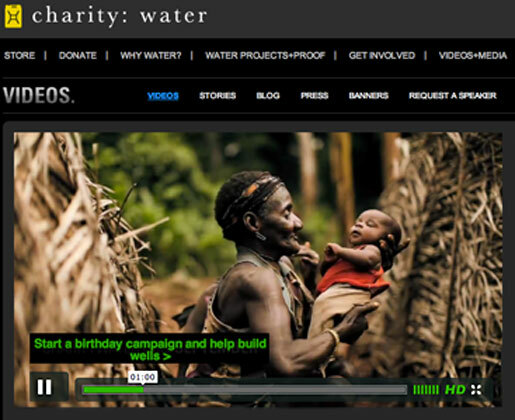 While hosting on YouTube has its advantages for nonprofits, a professional multimedia firm can help you custom-design media-driven websites and microsites that integrate with your nonprofit’s existing organizational website with platforms such as Vmix, Convio, Kaltura or Drupal (compare). Just a little over two years ago, Pathfinder International had no videos online and little in-house video production. 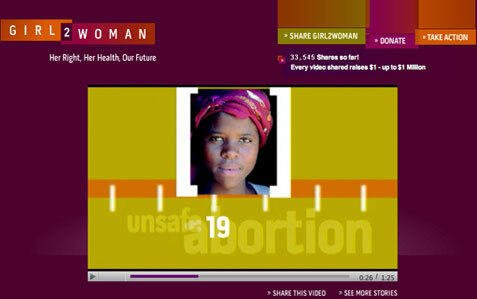 With the help of See3 Communications, Pathfinder launched a microsite that is built entirely around video sharing: Girl2Woman. Pathfinder shared how they opted not to use YouTube because “we couldn’t control the look and feel as much as we would have liked, we wanted to count the shares of the videos (not the views), and we wanted to focus on integrating features like the call to action share.” They’ve still posted the videos on YouTube, however, so that others can embed them. To meet those goals, they needed to be able to count the number of shares and capture the information of people who shared, which they couldn’t do with a YouTube hosted site. In fact, embedding video on a nonprofit’s own website can be better for your SEO — when a video is published on a third-party site, links to those videos just increase the page rank of the third-party site, not the nonprofit’s own site. If the video is published on the nonprofit’s site they have full control over the links on that site and the corresponding SEO. connect viewers to URLs that elaborate on your story. Consider placing the “call” on the skin or at the end of the video to encourage the viewer to watch until the end and follow through on the call to action. Also, because each video hosted is different, the call to action might be different depending upon the content and desired outcome. The most important part of your call to action is ensuring that it fits with what your audience needs. When it matches the exact needs of your audience, taking the recommended next step will be a natural course of action for viewers. Please share your own experience with call-to-action video apps and online video platforms. Thanks for this wonderful post…lot’s of great ways to turn information in action! Thanks a lot for the post! Very interesting!